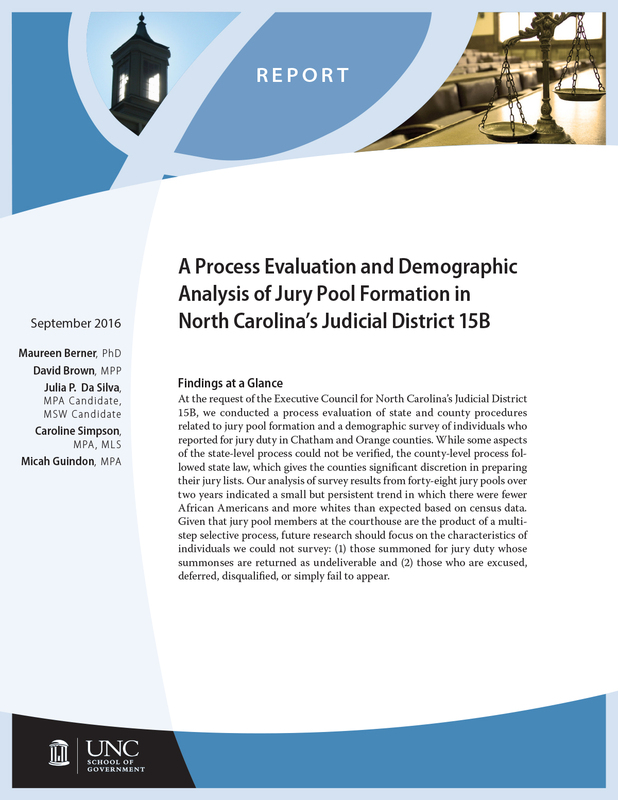 At the request of the Executive Council for North Carolina’s Judicial District 15B, we conducted a process evaluation of state and county procedures related to jury pool formation and a demographic survey of individuals who reported for jury duty in Chatham and Orange counties. 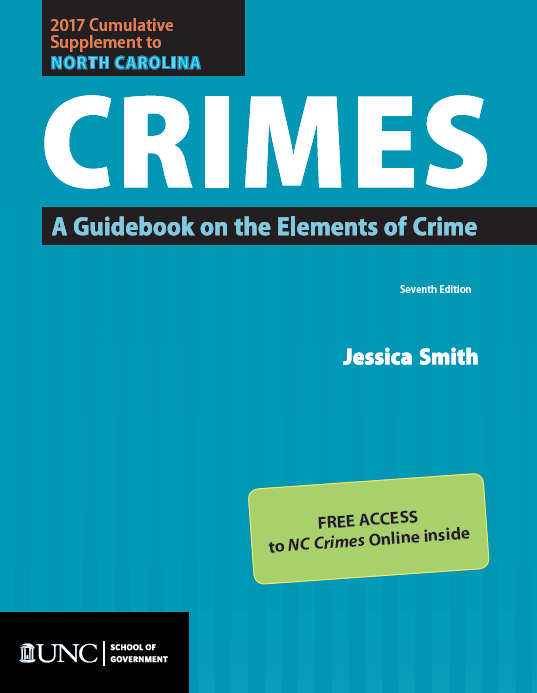 This report describes our research and findings. 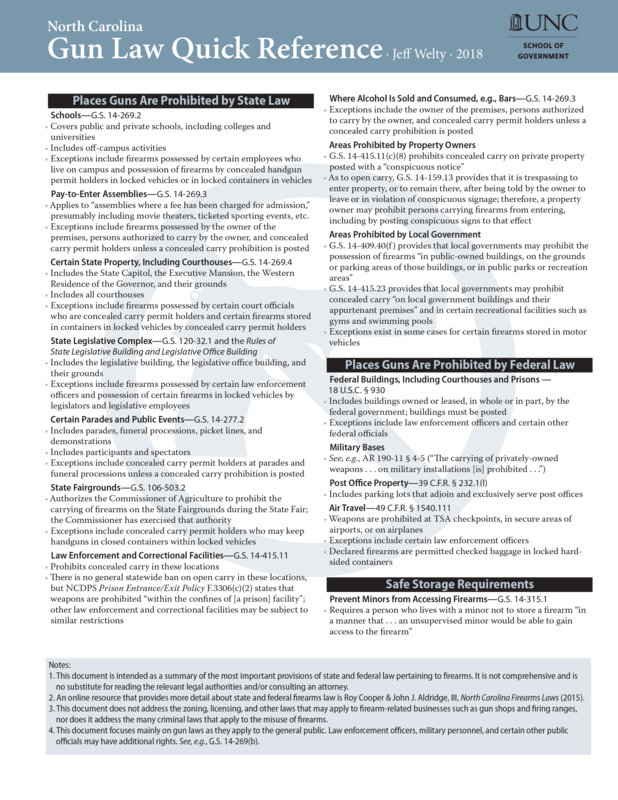 This bulletin was previously posted as a paper on the School of Government’s Judicial Authority and Administration microsite in February 2014. For archival purposes, the paper has been converted to an article in the Administration of Justice Bulletin series. 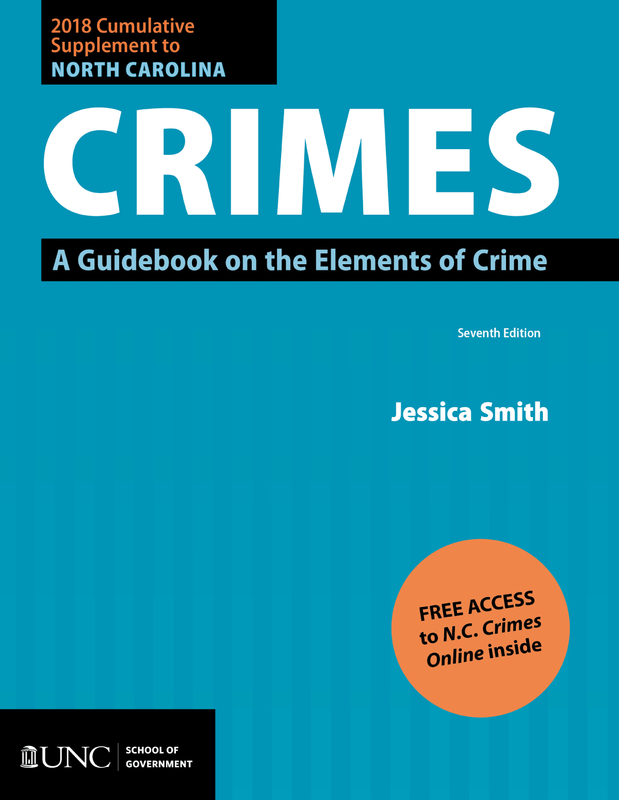 Link to free, online version in PDF format. This bulletin was previously posted as a paper on the School of Government’s Judicial Authority and Administration microsite in July 2015. For archival purposes, the paper has been converted to an article in the Administration of Justice Bulletin series. This bulletin was previously posted as a paper on the School of Government’s Judicial Authority and Administration microsite in April 2014. For archival purposes, the paper has been converted to an article in the Administration of Justice Bulletin series. This bulletin was previously posted as a paper on the School of Government’s Judicial Authority and Administration microsite in July 2014. For archival purposes, the paper has been converted to an article in the Administration of Justice Bulletin series. This bulletin was previously posted as a paper on the School of Government’s Judicial Authority and Administration microsite in January 2015. For archival purposes, the paper has been converted to an article in the Administration of Justice Bulletin series.